The next hold is not that far off – but still requires a full stretch to commit to it. Bring your foot to your hand, then pull hard. Climbing moves are often complex and demanding. 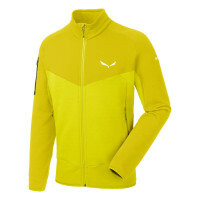 Climbers need fabrics that move with them, that don’t restrict their range of motion, but still keep them warm and dry. Polartec® Power Stretch® is a performance-fit base fabric designed to provide maximum freedom of movement. This 4-way stretch synthetic fabric can flex and stretch during movement and recover its original shape to handle the pressure of demanding physical activities. 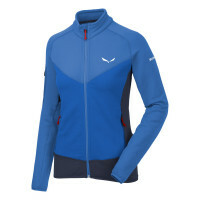 The soft next-to-skin layer has touch points that transport moisture vapour away to evaporate in the outer layer. Polartec® Power Stretch® is available in different styles and weights and can be used either to make next-to-skin baselayers, insulating fleece jackets or stretch inserts for hybrid jackets. They are lightweight, very hardwearing, easy to care for and dry quick. 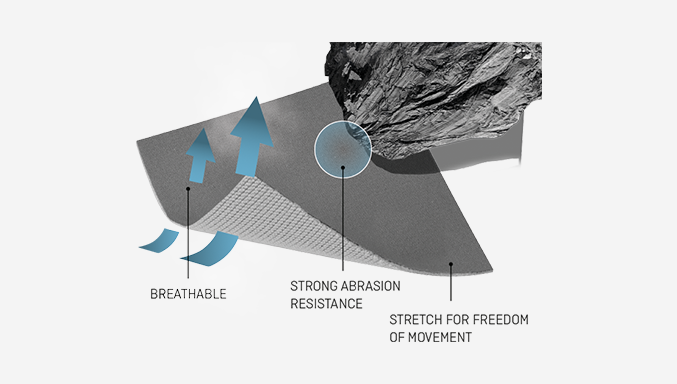 SALEWA® uses Polartec® Power Stretch® in its alpine mountaineering products where freedom of movement is key.